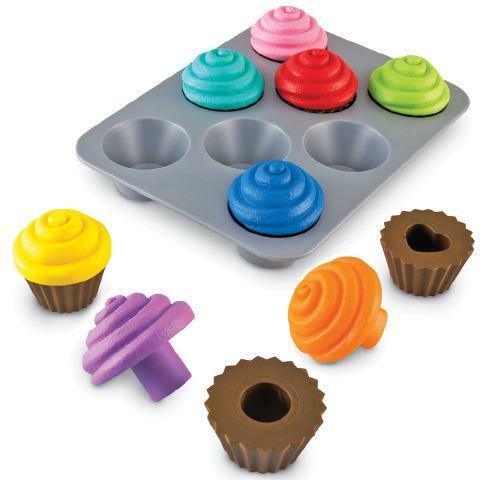 Dimensions: Each cupcake measures: H: 2” x 1.5” Dia. A fun game that adds math concepts to the dramatic play area. Children must be monitored in the beginning because the "frosting" on the top of the cupcakes looks very real.